This article helps to substantiate the need for businesses to work with professionals who are innovative and have the latest technologies to experience the tremendous benefits that can be realized in online marketing campaigns. 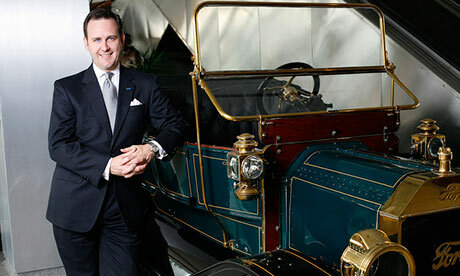 To kick off Social Media Week New York, Scott Monty, Global Head of Social Media at Ford Motor Company, gave an illuminating presentation entitled, "Social Wheels in Motion: Ford's Lesson in Social Media." The presentation covered several of Ford's incredibly successful social campaigns over the last few years, providing valuable lessons to brands, both big and small, looking to drive real business results using social media. Below are five of the most important lessons Monty and his team at Ford have learned over the last few years. One of Ford's first social campaigns was its Ford Fiesta Movement in 2009. In an attempt to build buzz about the car in the United States, Ford gave 100 digitally connected people a Fiesta for six months. Each had to create a themed video every month, while also documenting their time with the car on social media. Ford then put the content up in real time, unedited and unfiltered, essentially turning over the brand to its consumers. Monty said they were confident in doing so because they had the product to back it up. And the results proved this: the campaign received 132,000 hand-raisers looking for more information, 82% of which were new to Ford and 30% of which were under the age of 25. Ford has created its Social Hub as a place for costumers and fans to consume information, interact with other users and provide feedback and suggestions to the brand. Of all the ideas users submitted, Monty said 40% were either already in vehicles or were currently being worked on. Ford also created a badge system, in which users could select badges that matter to them and share on their social networks. Ford could then target its audience and deliver relevant content based on the types of badges that users selected. In 2010, Ford wanted to reveal its new Explorer in a new way. So it took to Facebook to let fans know they were doing things differently. Leading up to the reveal, Ford provided sneak peaks, interviews with the design team, and behind-the-scenes looks with the chief engineer. Additionally, there were events around the country in which Ford could secure earned media as well as targeted digital ads. In 2011, Ford wanted to change the perception of its Focus, "the rental car that nobody wanted," according to Monty. They turned to an orange Spokespuppet named Doug and his sidekick John and hired successful TV directors to create a series of videos that reached mostly males in their late 20s. The idea: speak the customer's language, be self-aware and commit to entertaining. The results were palpable: the videos recorded 4,000,000 views, and there was a 77% improvement in opinion of the Focus, with a 61% consideration rate. Ford created another web series last year entitled "Escape My Life" in which an actress playing a production assistant was given a new Ford escape. The catch: the car came with an annoying product specialist who followed her around. The eight videos were distributed through YouTube and Tumblr, combined with a paid media integration. Additionally, the product specialist, Barry, had his own blog on Tumblr, in which he created memes and discussed zombies (the latter of which saw 19,000 impressions). Overall, the campaign hub recorded 1.5 million visits, with a great deal occurring on Tumblr.